Looking for a used GTR for sale at a Richmond car dealership? If so, you’ve probably explored quite a few GTRs, and you’re almost ready to make your purchase.But, despite how inexpensive a used Nissan GTR is, it may not always be the right choice, compared to a new model. In this article, we’re going to take a look at a few of the pros and cons of buying a used Nissan GTR in Richmond. Let’s get into it! The market for used GTRs is hot, for a good reason. 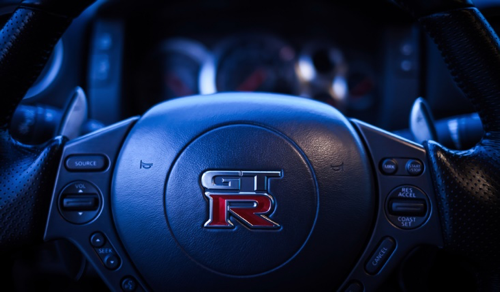 Nissan makes fairly reliable cars, and the GTR offers great performance at a reasonable price. Absurd price-to-performance ratio– Most used GTRs are around the $60-$70K range. This is around the price of fully loaded pickup truck or luxury SUV – despite the fact that the GTR tops out at 205 mph, and does 0-60 in less than 2.9 seconds.Put simply, if you want a supercar, there is no better horsepower-per-dollar value than a used GTR. The GTR is affordable, yet has some of the best performance, handling, and acceleration – exceeding even some Lamborghinis and Ferraris. Avoid depreciation– As soon as you drive a brand-new $100,000 GTR off of the lot, it loses a huge percentage of its value. By purchasing a GTR that’s even just 1 or 2 years old, you can avoid this depreciation hit, and get a much better value. Mechanical inspection and Carfax can tell you a lot about the condition of the car – This is especially true of cars that still are backed by the manufacturer warranty for the powertrain. If you find a car with low mileage, a clean Carfax report, and that passes a mechanical inspection, you can know you’re making a reasonably good investment. So, what should make you think twice about getting a used Nissan GTR from a dealership in Richmond? Here are a few factors to consider. Not available CPO (Certified Pre-Owned)– The Nissan GTR can’t be purchased as a CPO vehicle. That means you’ll be responsible for any repairs that are out-of-warranty, as soon as you sign the paperwork at the dealership. You don’t know how it’s been driven– Owners of GTRs aren’t known to only take it only to the grocery store – and church on Sundays. A used GTR has likely been through quite a few races and track days – so even if it doesn’t have high mileage, it may still need some major repairs or servicing. You may only have a few years of powertrain warranty remaining – Repairing the Nissan GTR is expensive. A transmission can cost more than $12,000 – and that’s without delivery or installation.The Nissan GTR comes with a 5-year, 60,000 mile warranty. Think twice about getting a GTR that’s running out of warranty time – or that’s beyond the warranty entirely. More difficult to find financing for your purchase – If you’re purchasing a GTR from a private seller, it will be pretty much impossible to finance it.And, even if you’re looking at a used GTR for sale at a Richmond dealership, it may be hard to get a loan from your bank, particularly if the vehicle is more than a few years old, and out of warranty.Even if you do get financing, you may have to pay quite a bit of interest, due to how much more risky it is for banks to finance used supercars. Know The Pros – And Cons – Of Used GTRs For Sale At Richmond Dealerships! If you’re mechanically savvy and have the extra cash for repairs and insurance, buying a used GTR in Richmond is a fantastic way to get mind-melting performance at a bargain rate. But if you’re already stretching your budget, a used GTR may not be the right choice for you. If you consider the pros and cons of this article, you’re sure to make a more informed decision.